Hedgehogs had a SUPER Mess Day as a Fantastic Finish to their Superhero topic this term. 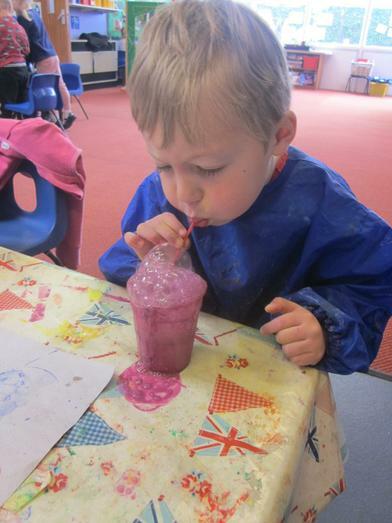 They enjoyed bubble painting, finding Superworms (dyed spaghetti!) 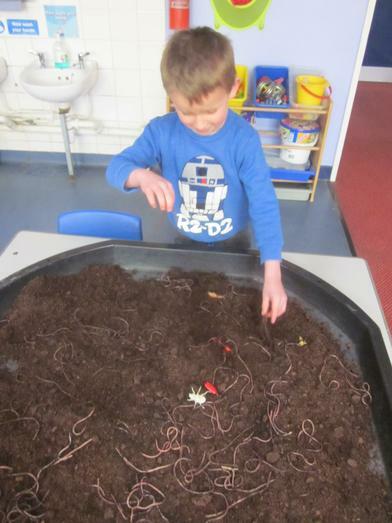 and bugs in the mud, mashing vegetables from Supertato (including the evil peas! 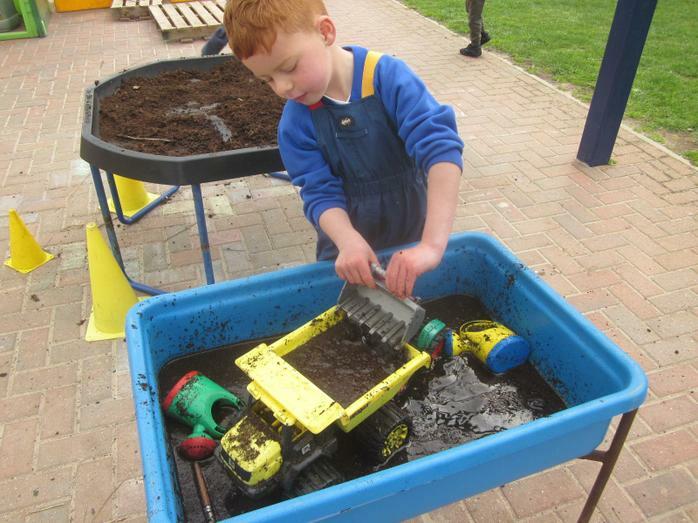 ), making bread mixture, exploring frozen jelly, rolling diggers in the mud and then washing them, blowing giant bubbles, making tea and coffee (not drinking it! ), investigating mixing colours in cornflour and making our own chalk paint. What a busy, fun and messy day!